Indoneisa Presidential elections HIGHLIGHTS: Former general Prabowo Subianto who was defeated in the last election in 2014 is contesting against Indonesia's incumbent President Joko Widodo. 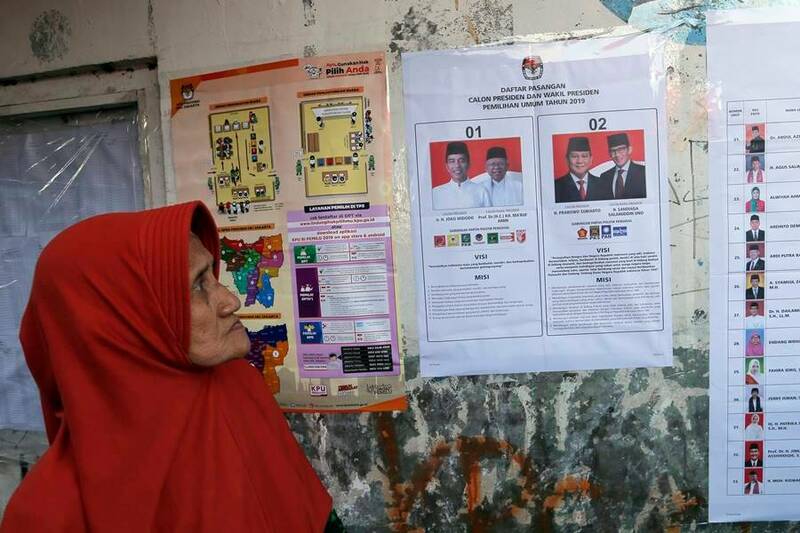 In what is being billed as the world’s biggest single-day election, Indonesians began voting on Wednesday to choose a new president and Parliament. Polling stations opened today across the equatorial archipelago following an election campaign which lasted for six months. Former general Prabowo Subianto, who was defeated in the last election in 2014, is contesting against Indonesia’s incumbent President Joko Widodo, who entered politics nearly 14 years ago as a small-city mayor. Prabowo had told a news conference late Tuesday that he expected to win with 63 per cent vote. “Even though there have been obstacles and anomalies, I believe, at the end of it, we cannot contain the will of the people,” Prabowo said on the eve of the vote. The election is being viewed a testimony to the resilience of democracy after it defeated authoritarianism, nearly after two decades. Voting first began in the eastern province of Papua, which is two hours ahead of country capital, Jakarta. Nearly 350,000 police and soldiers will join 1.6 million paramilitary officers stationed across the country of 17,000 islands to safeguard the vote today. 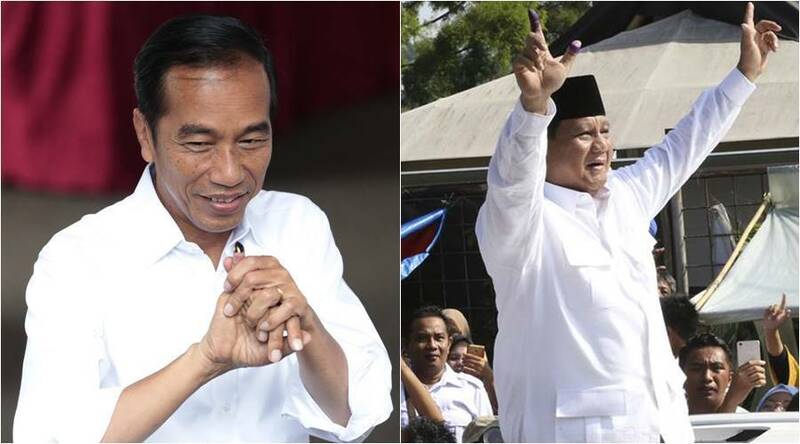 Indonesian President Joko "Jokowi" Widodo shows his inked finger after casting his vote (left) and presidential candidate Prabowo Subianto after casting his vote. Opinion polls show Widodo, 57, is a clear favourite -- but he faces a tough challenge from Subianto, 67, who has leaned on a fiery nationalist ticket. Subianto narrowly lost to Widodo in 2014 elections, and unsuccessfully challenged those results. President Joko Widodo and his running mate Ma'ruf Amin contest against ex-general Prabowo Subianto and his running mate Sandiaga Uno. Prabowo Subianto after casting his vote in presidential and legislative elections says he is confident of winning despite polls showing that he trails President Joko Widodo by up to 20 percentage points. After voting, Subianto, a former special forces general, echoed his campaign themes of a weak Indonesia at risk of disintegration. Ex-general Prabowo Subianto's strongman image is underscored by a penchant for slamming lecterns as he accuses Jakarta of selling the country off to foreign interests. Subianto, a 49-year-old wealthy financier -- has courted Islamic hardliners, promised a boost to military and defence spending and, taking a page from US President Donald Trump, vowed to put "Indonesia first" by reviewing billions of dollars in Chinese investment. President Joko Widodo, a furniture businessman who entered politics 14 years ago as a small-city mayor, is seeking re-election against former general Prabowo Subianto, whom he narrowly defeated in the last election, in 2014. The economy dominated the hard-fought campaign, though the rise of political Islam loomed over the contest in the world's most populous Muslim-majority country. Most opinion polls give Widodo a double-digit lead but the opposition says the race is much closer. More than 192 million people are eligible to cast ballots in national and regional legislative elections being contested by more than 245,000 candidates. Polling stations opened at 7 a.m. (2200 GMT on Tuesday) in the east and will close at 1 p.m. (0600 GMT) in the west. More than 192 million people are eligible to case their vote in the national and regional legislative elections which is being contested by more than 2,45,000 candidates. A tornado in East Java on late Tuesday wrecked two polling stations, however, restoration works were undertaken. While the economy was the main focus of the six-month campaign, but the rise of political Islam also equally dominated the contest in the world's most populous Muslim-majority country. Opinion polls give Widodo a double-digit lead, but the opposition still claims that the race is much closer. 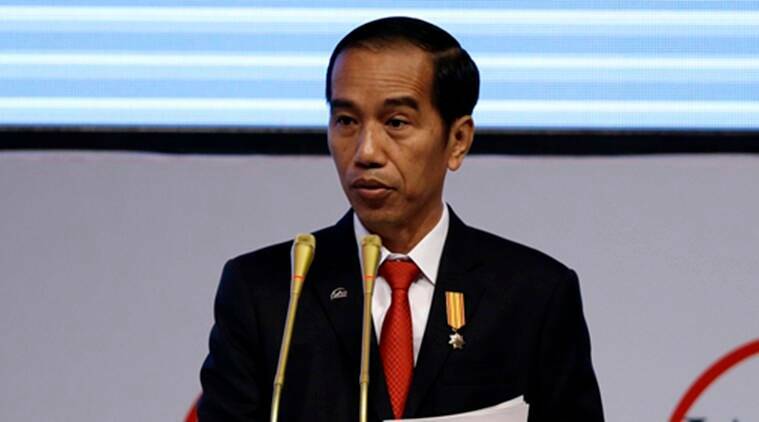 A senior government official said that a 52-55 per cent win would be a 'sweet spot' for Widodo who could accelerate economic reforms in the country. Official results are expected to be announced in May, however, unofficial "quick counts" based on samples from polling stations, would be released soon after polling ends.